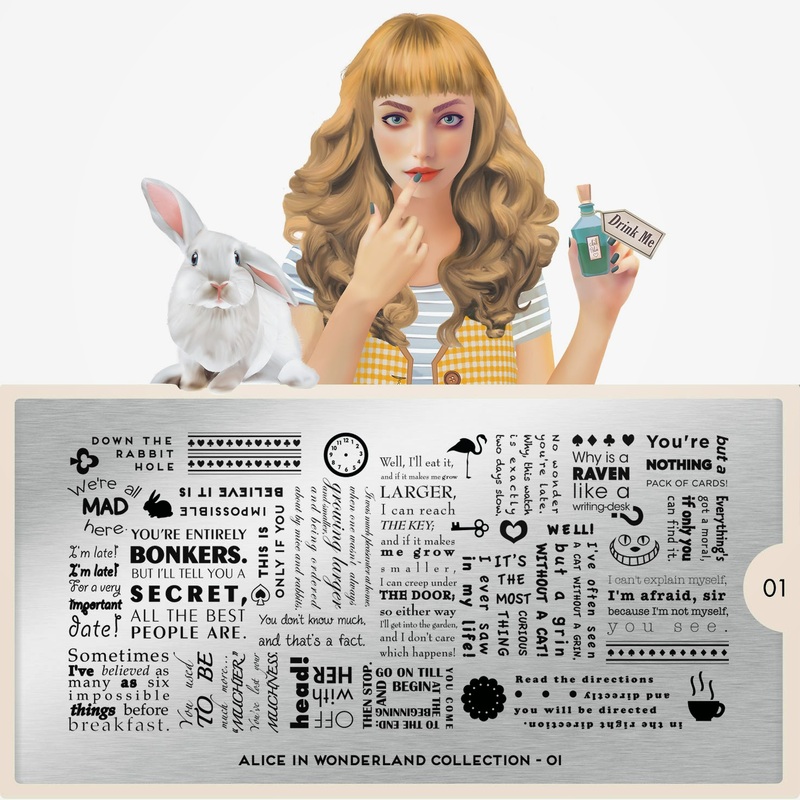 Lacquer Lockdown: Hot Off The Stamping Press: MoYou London Alice in Wonderland Collection + Festive Collection Release! 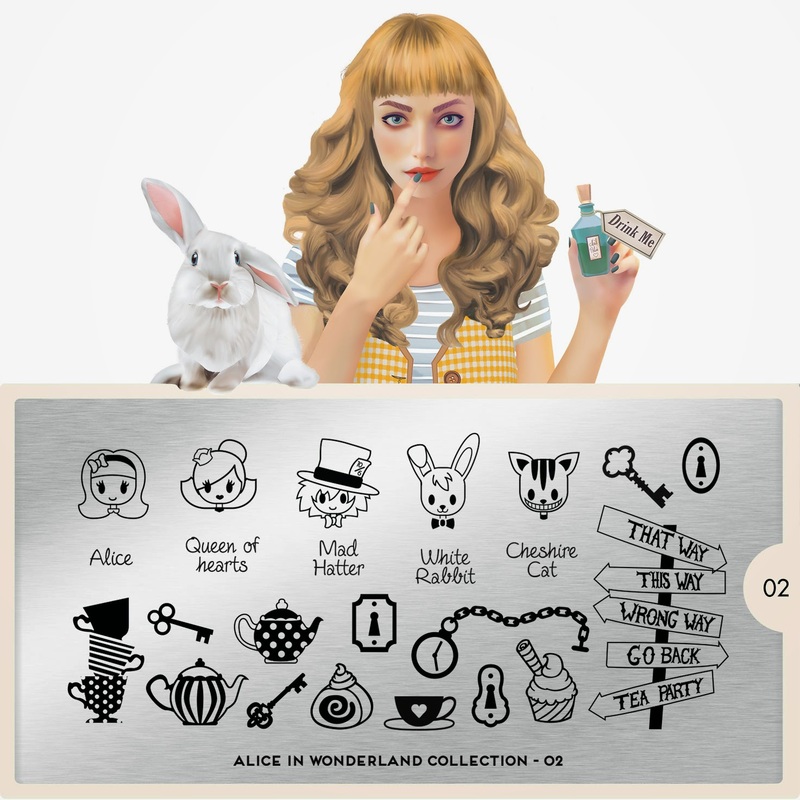 Hot Off The Stamping Press: MoYou London Alice in Wonderland Collection + Festive Collection Release! I'm back in business, of sorts on a borrowed computer, but from now on things will be a bit more organized and steady in these parts. 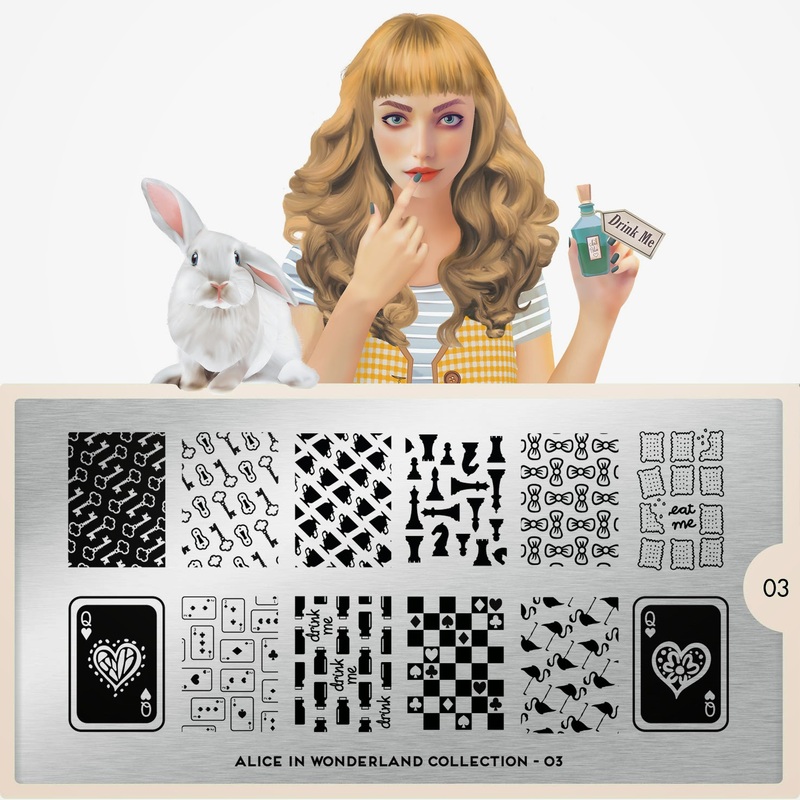 So let's catch up quickly today with the last release from MoYou London featuring their new collection inspired by Alice in Wonderland and their latest Festive Collection holiday plate. 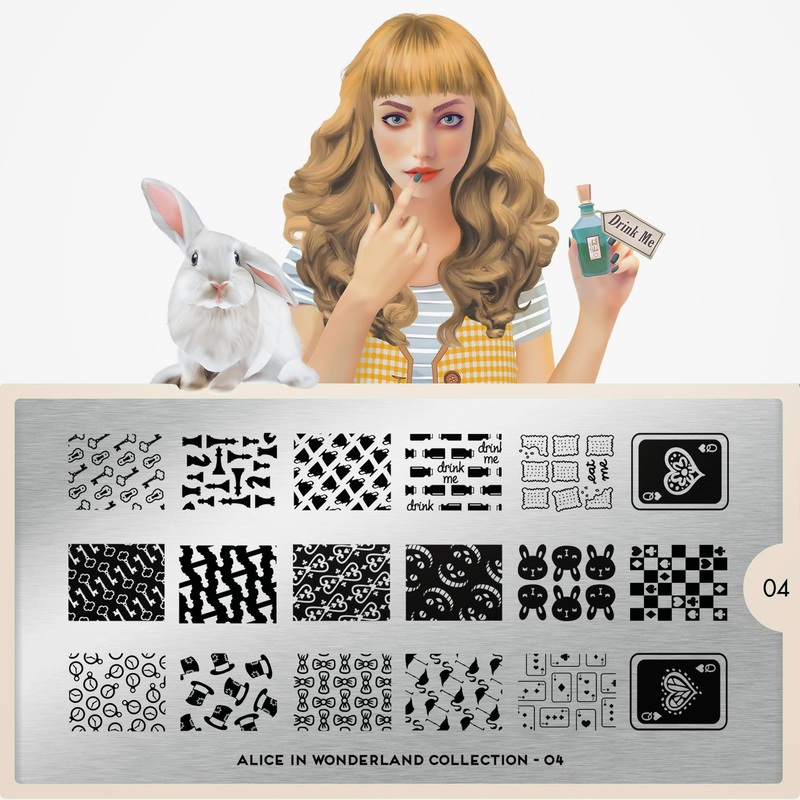 Welcome Alice! My excitement for these plates was visceral...I told you once before Disney's Alice in Wonderland is one of my holy grails. An instant mood elevator and a lesson in how not to live my live. Yes Alice you alone in the forest singing Good Advice while tears stream down your face altered my lifeview forever at the age of 7. Did I mention I own a a necklace that is script written as "We are all mad here...." You know I love typography! I want this plate quite badly! I love the flamingo's here. That's about it though :( I really wanted these plates to be more than they are. Did you also realize that one of the collections. I believe the Kitty or the Princess Collection has original Disney images of Alice on them? Yup in my mind those along with the plate from the Fairy Tale Collection were much more imaginative and cute. The plate is adorable but not really what I had in mind. Is this heaven??? Though, to be honest, I am not the biggest fan of the cartoon characters. When I saw the Alice mascot I started to hyperventilate as I'm totally MAD about everything and anything Alice in Wonderland (my bridal shower was a mad tea party, top hats, rare teas and tea cakes, roses and all that) and the 1st plate was OMG then, same as you with the second one... the cartoonish kawai like faces I wasn't so keen on them but the teacups and the sign I adored. I would love more plates on this theme but with a darker twist, something more outside the box and not just a few elements and tea pots. 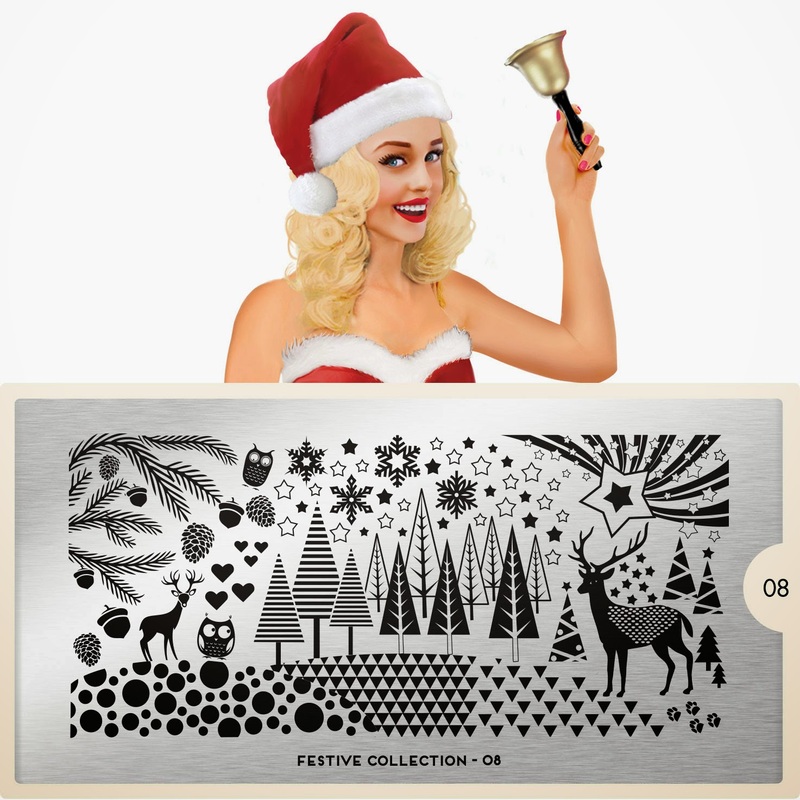 Plate 04 I will get too but I'm hoping and waiting for this friday's release and I expect the full scenery plate (in the feel of gothic meets fairy tale collection) that gives MoYou it's fame and of course Sagittarius (my sign) plate. I agree with you, they don't really say "Alice in Wonderland" to me…if I didn't know it was the theme I would just think they were images…though some of them are nice!